1. Check for a permanent place of business, telephone number, VAT number, Company registration number, website address etc. 2. Make sure they have sufficient liability insurance, and an up to date Workman’s Compensation certificate. 4. Insist on a written quotation, terms and conditions and examine it for a complete description of the work being carried out, and ensure that the work is being carried out according to the Manufacturers specifications. 5. Check to see if the company is a member of any industry organisations, that may be of assistance to the client if problems arise. 6. Remember that price is only one criterion for selecting a roofing contractor. Professionalism and quality workmanship should weigh heavily on your decision. 7. 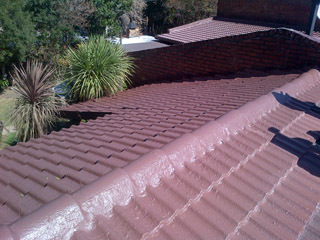 Carry out regular maintenance with one roofing contractor. Roofing Insurance claims are rejected due to lack of maintenance with a reputable roofing contractor. 8. Check out the guarantee period. A typical guarantee is one year or longer. The length of the guarantee doesn’t matter so much, as to whether the contractor plans to stand behind the guarantee. Professional Roofing companies often work beyond their written guarantee if the problem was due to poor workmanship. Also, make sure what the exact maintenance requirement of the proposed waterproofing system is. 9. Watch out for DIY waterproofing systems. One size does not fit all in this industry and some roofs require highly specialised materials to waterproof. Does your roof leak? Is your ceiling crumbling? We will repair and waterproof your roof and will also rebuild and replace rafters, battens and flashing. We will also repair and replace damaged ceilings and will do any general building work that may be required to make your home look like new. 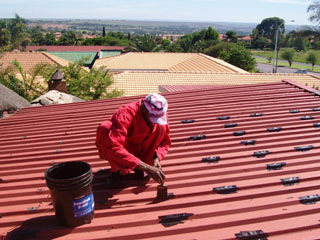 Contact Mpumalanga Rubber today for a no obligation quotation on our maintenance free roofing solutions. 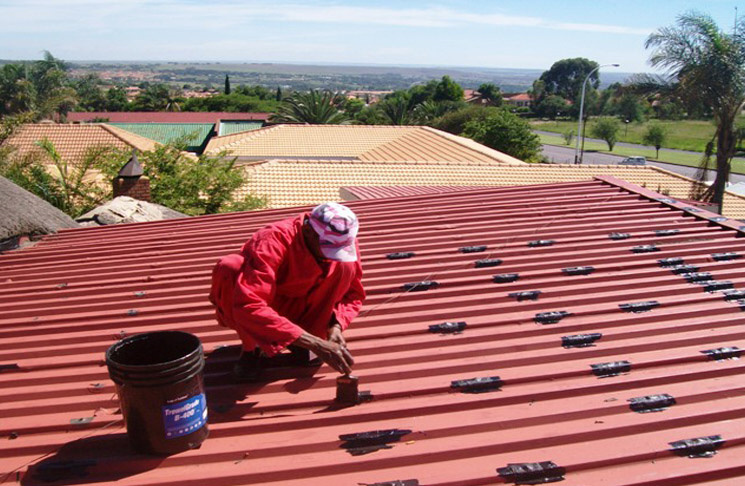 Whether you have a sludge tank that needs attention or a leaking shopping centre roof that needs fixing, no job is too big for Mpumalanga Rubber We regularly undertake the repair, waterproofing and maintenance of commercial and industrial installations. 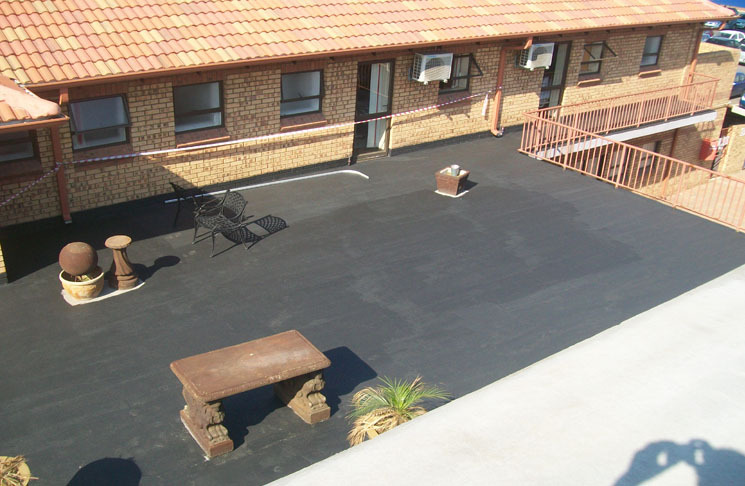 Call us now for a no obligation quotation on our waterproofing solutions.